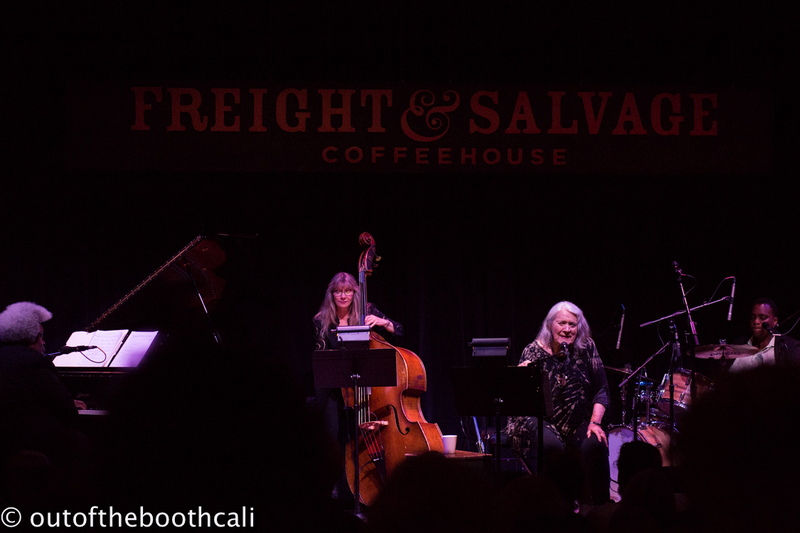 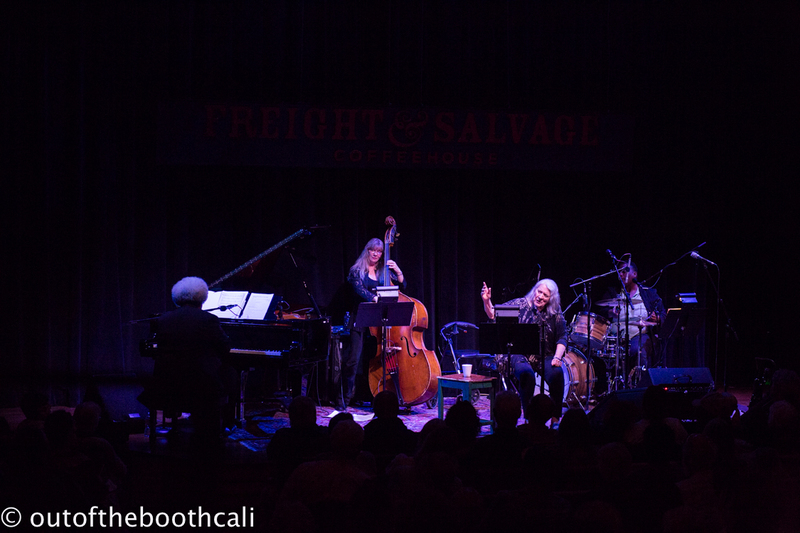 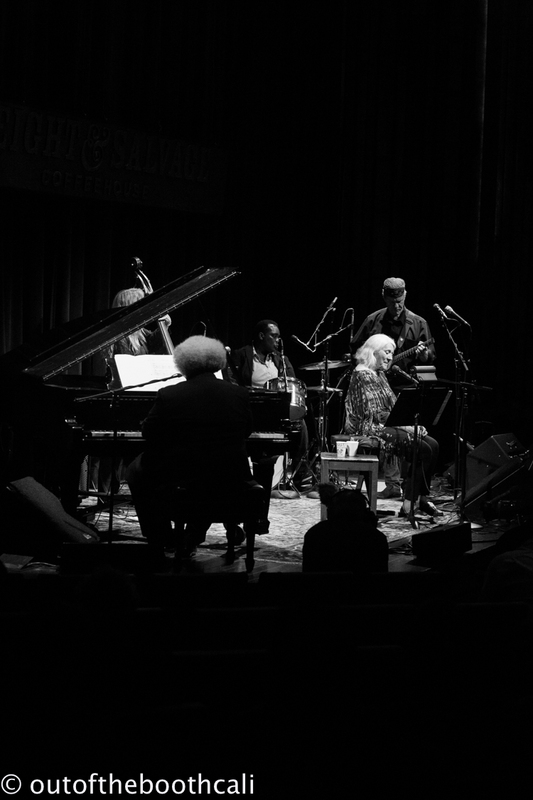 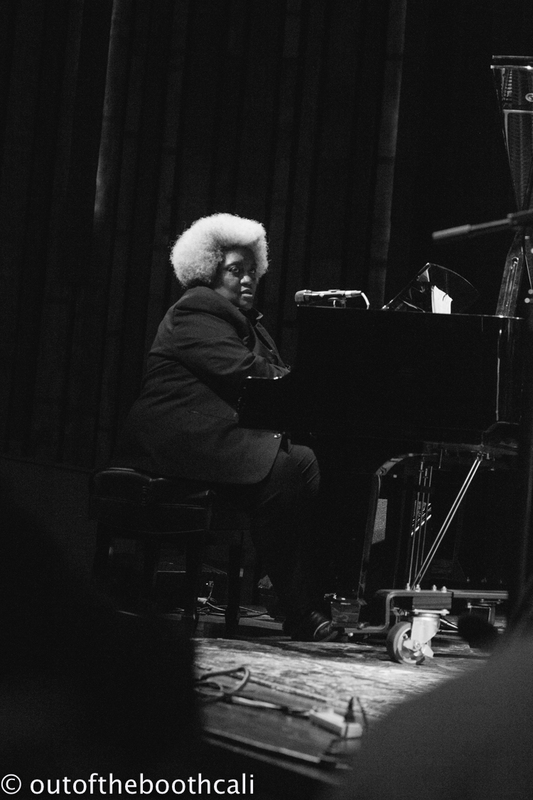 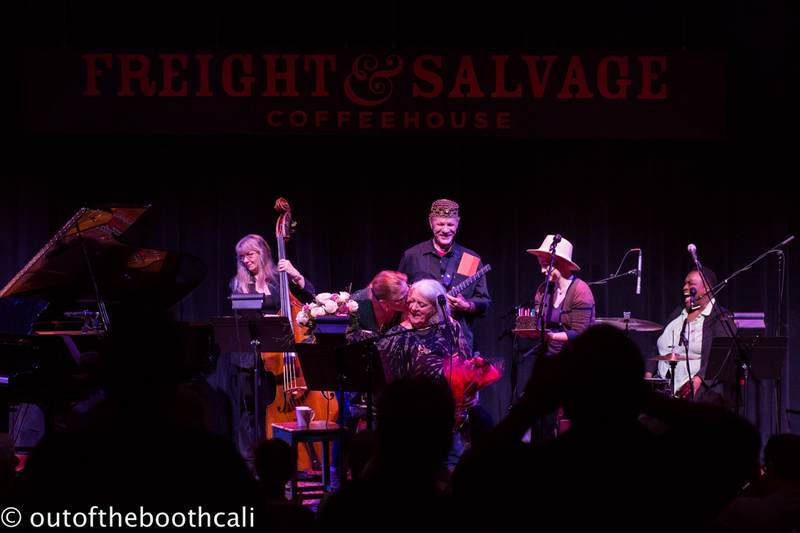 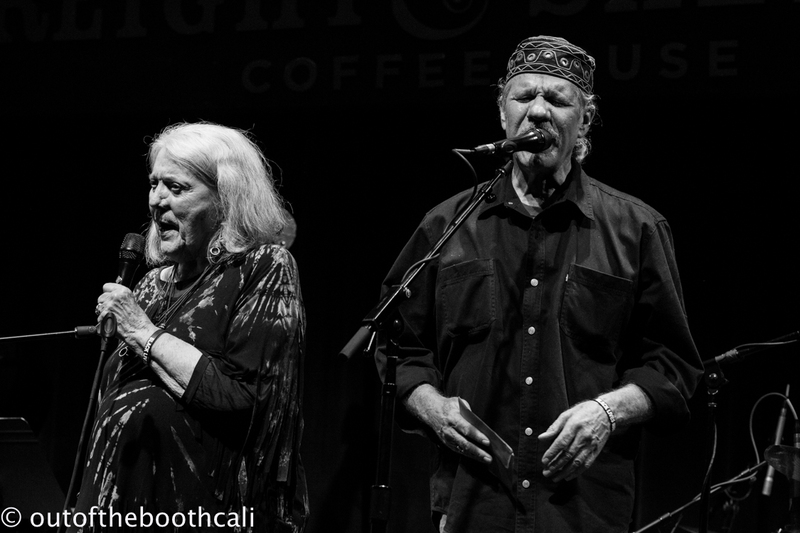 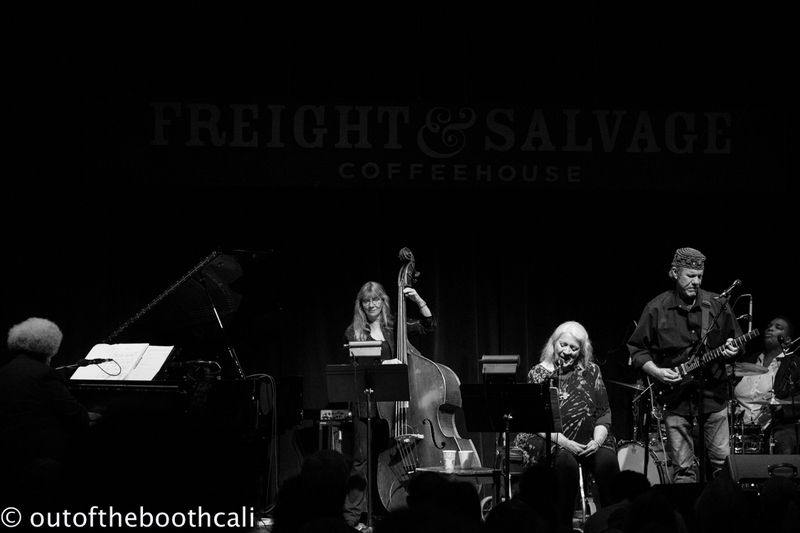 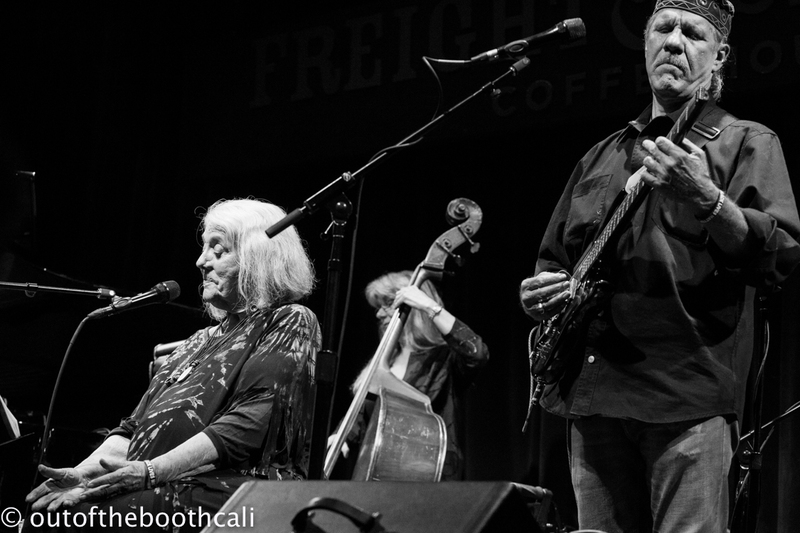 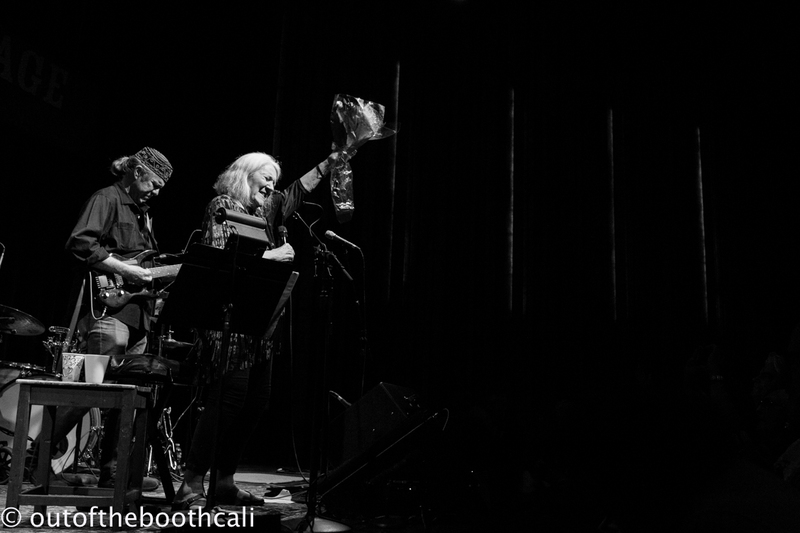 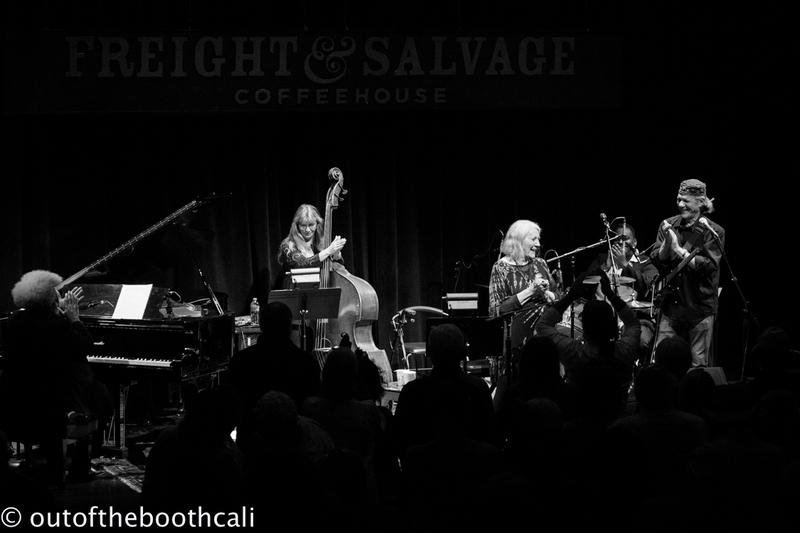 Barbara Dane delivered a spectacular show, celebrating her 91st birthday on Thursday at Freight and Salvage. 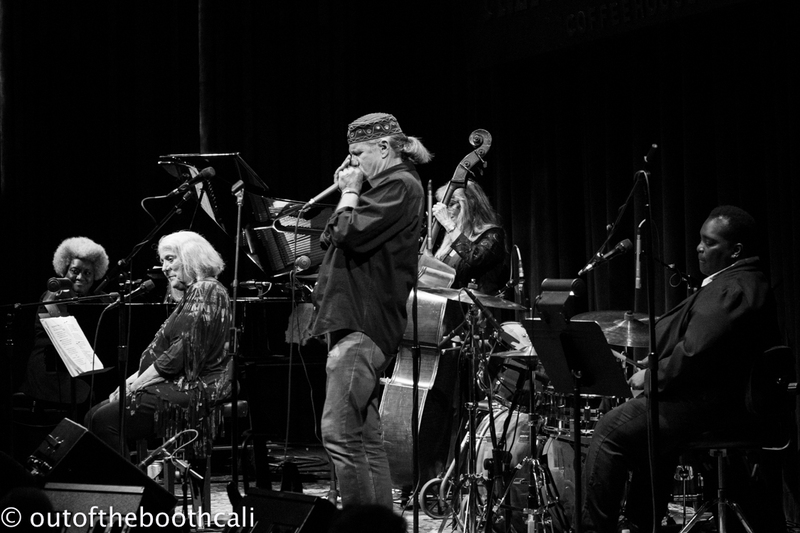 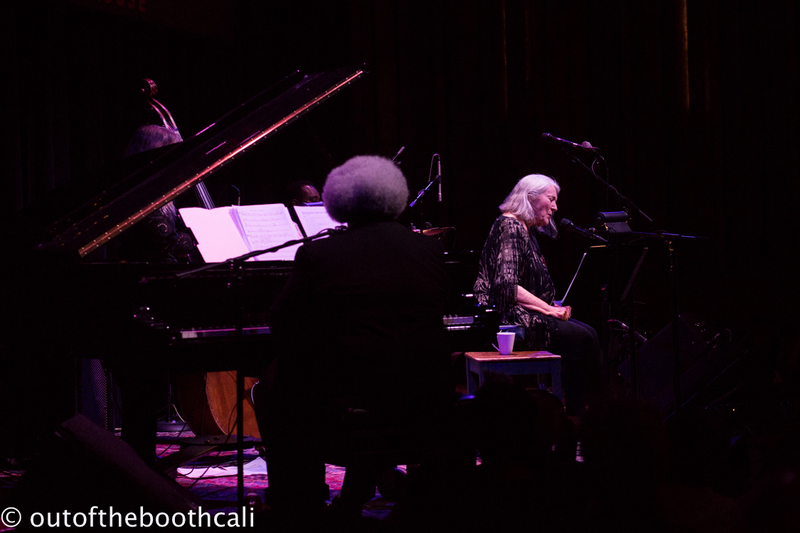 The show began at 8pm with Barbara Dane seated center stage, surrounded by her excellent band of bass, beats and keys. 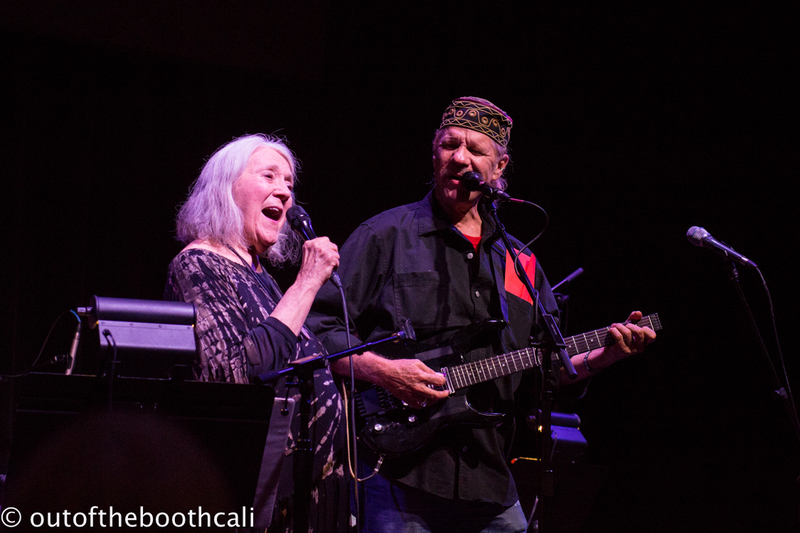 Sporadically joining the greatness was Barbara's son, who brought the guitar wails and harmonica heat. 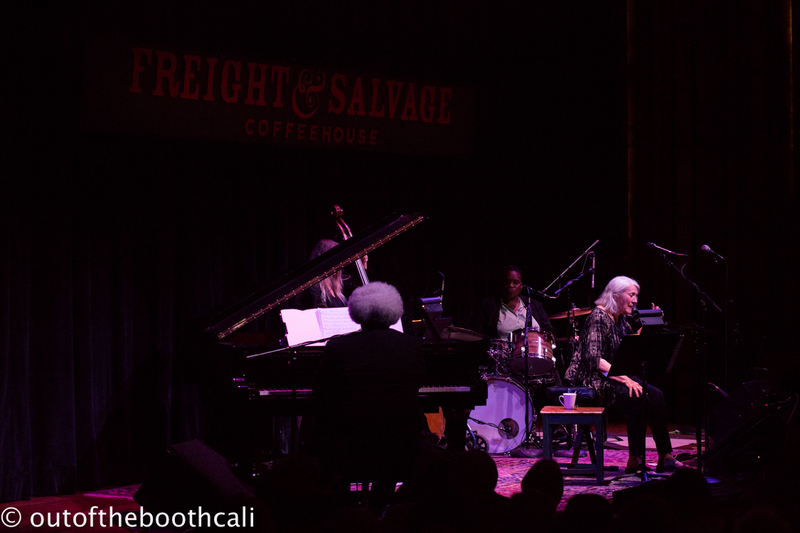 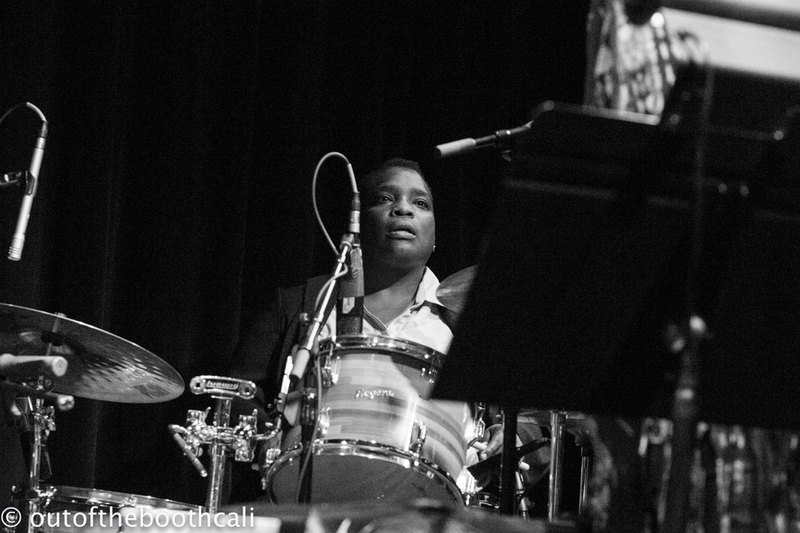 With vocals rich, strong and smooth, Dane performed, immaculate throughout the night. 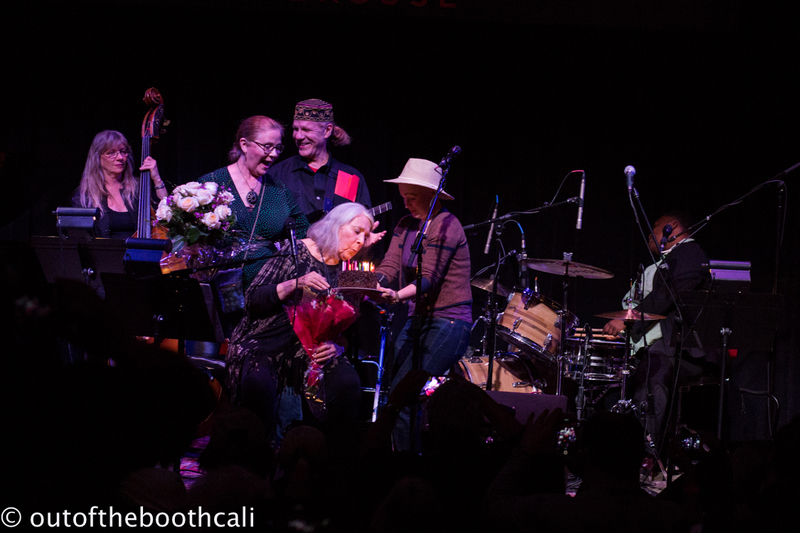 With only a small interval, she celebrated and sang songs, whimsical, positive and comical, mixing in the bittersweet and politically charged until 11:30pm. 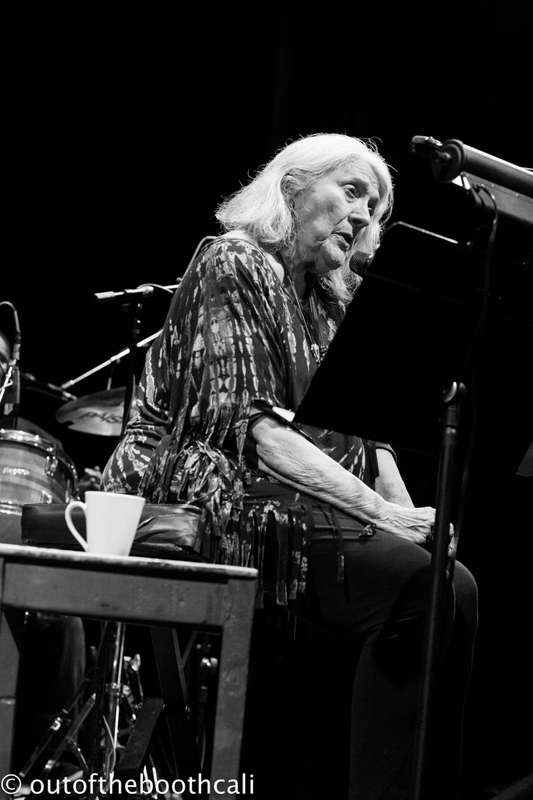 If you've yet to hear of Barbara Dane, you can thank her integrity for that. 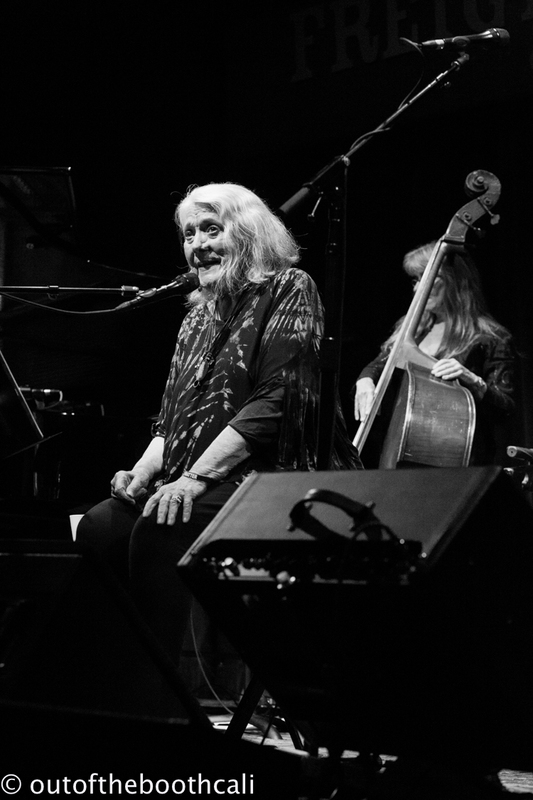 She refused to work for the man and declined offers of managers along the way, remaining true to her passions, artistry, and political activism. 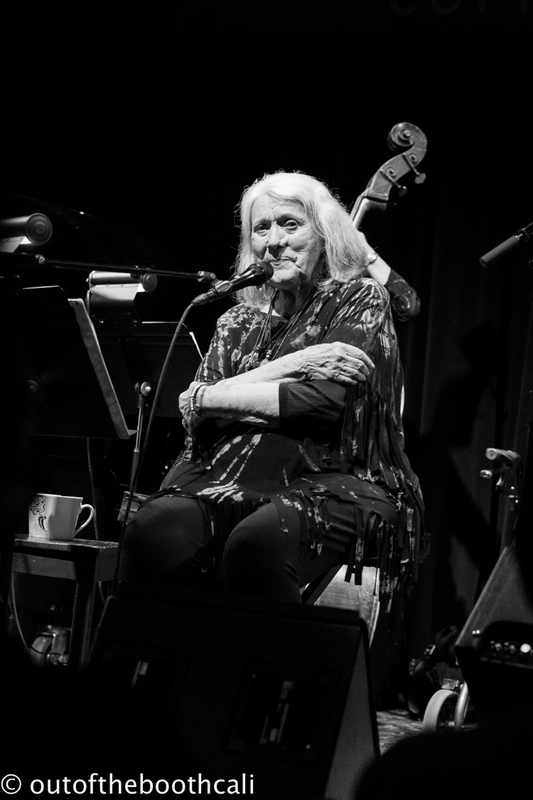 The show was recorded, with segments of it to be included in an in-the-making documentary about the rip-roaring folk singer, called On My Way. 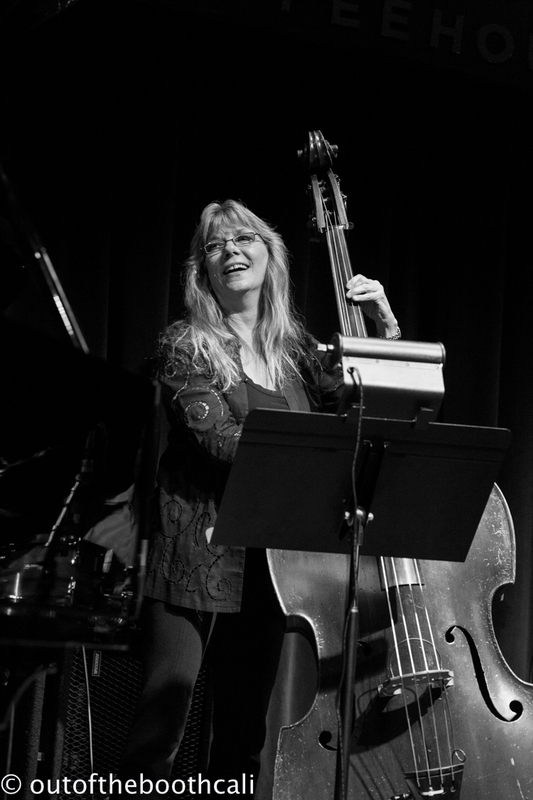 Dane, with a twinkle in her eye, delighted the crowd with her humor, her strength, her endearing sass, and her undeniable truth and talent. 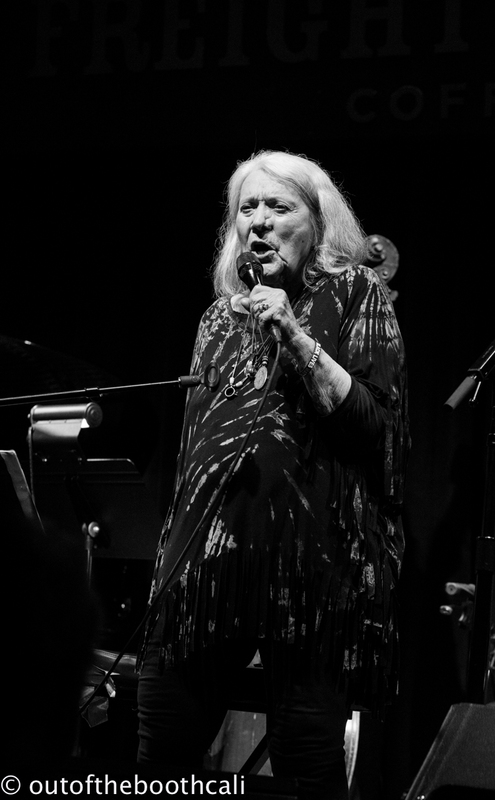 She is a living legend.